This entry was posted in All Opinion and tagged binary options CFDs op-ed PLUS regulation on May 16, 2016 . At root, what illicit online brokerages have in common is the promotion of trading activity as a form of gambling rather than investment. In my last letter, I mentioned that the Times of Israel has recently drawn attention to abuses within the online brokerage industry in Israel. The Times kindly asked me to provide a perspective on ways to detect potentially abusive firms. My opinion piece has a dual audience: it lists a few quick tips for individuals who may be considering a new brokerage relationship, and it provides a longer list of potential red flags for regulators and the broader industry to consider. 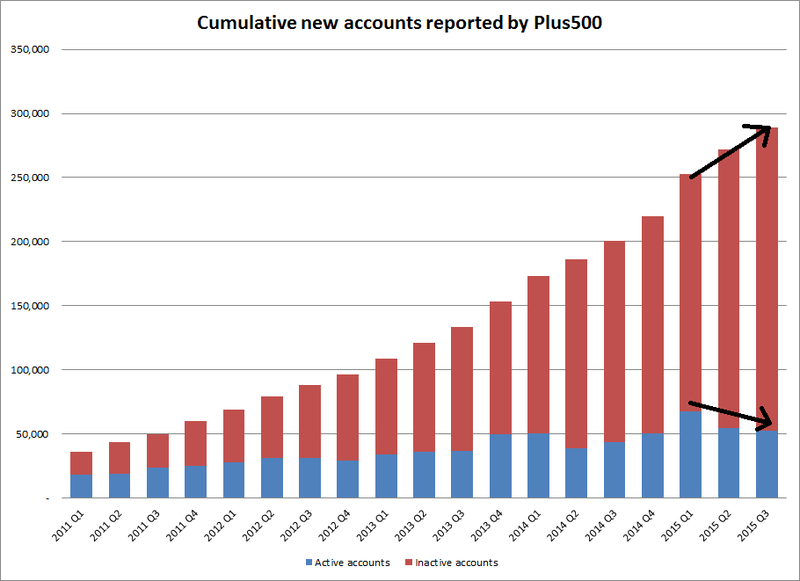 Over the past year, Cable Car has communicated with more than a dozen regulators around the world regarding Plus500 and other abusive online brokerages. It has become clear that, like the online gambling businesses they emulate, many brokerages take advantage of very aggressive regulator shopping, while operating with impunity and little oversight in many jurisdictions. Operating a broker-dealer generally requires licensing, capital requirements, and strict regulatory supervision. Despite laws on the books prohibiting online brokerages from accepting local clients without registering, many countries defer to a brokerage’s home regulator for enforcement. Scandalously, the home regulators often refuse to supervise conduct that occurs outside their borders. In some cases this confers an artificial air of legitimacy on the worldwide activity of companies that may be conforming to requirements only for clients in regulated jurisdictions. The Times noted in its initial exposé that some brokerages target customers in impoverished parts of the world with hopes of quick riches. Others seek customers in countries with significant demand for investment but less developed securities markets and regulatory apparatus. When a brokerage based in Israel or Cyprus violates local law in Qatar or Sudan, local authorities have few resources to do anything about it. When a brokerage flaunts regulatory requirements in more established markets like Hong Kong or Singapore, the local authorities may investigate, but to-date they have done little more than warn potential customers. The United States, ever the world’s policeman, has been relatively effective at bringing enforcement actions against some of the worst offenders who operate within its borders. Hopefully we will see more actions in the future. Yet smart brokerage operators avoid the small handful of countries that have refused to tolerate illegal conduct by overseas firms, such as the United States, Canada, and New Zealand. Even the US has been reluctant to bring enforcement actions against companies that make only indirect use of US means of commerce. In my view, a great deal of responsibility rests with the Israeli Securities Authority to take a more active role in supervising the worldwide actions of its companies. Below is an excerpt from the op-ed. Please read the whole piece on the Times of Israel website. Comments are welcome. As the online brokerage industry faces increased regulatory scrutiny in Israel and around the world, it is essential for regulators and prospective customers to understand what separates a legitimate brokerage firm from the “wolves of Tel Aviv.” At root, what illicit online brokerages have in common is the promotion of trading activity as a form of gambling rather than investment. It is no coincidence that many brokerage developers got their start in the online gambling business, and gambling firms have recently diversified into online trading. Although the bulk of industry criticism has focused on trade in binary options, many binary brokers at least have the virtue of explicitly describing client positions as wagers. Spread betting, a form of contract for difference (CFD) trading popular in the UK, is similarly upfront about what customers are really doing (allowing the results to be taxed as gambling losses rather than capital gains). Far more insidious, in my view, is the way in which other brokers offering complicated financial products blur the lines between trading for investment purposes and trading for entertainment. Gambling may have its place, but it should not involve financial products. It harms the integrity of capital markets when companies encourage financially unsophisticated individuals to take risks they may not fully understand or have adequate resources to bear. Complex derivatives like binary options, CFDs, futures, and other leveraged financial instruments were originally developed for professional investors to manage risk and lower tax and transaction costs. They were never intended as gambler’s chits. The risks of binary options, CFDs purchased on margin, and highly leveraged forex trading are wholly unsuitable for all but the most sophisticated individual investors. Existing laws governing customer suitability, registration requirements, false advertising, and contract fairness already prohibit much of the industry’s conduct, but they have not been adequately enforced across national boundaries. It is not enough for brokerages to simply be registered. There is an urgent need for coordinated international regulatory enforcement to protect the public. Jurisdiction shopping is common, and companies facing sanctions in one country sometimes simply move customer accounts to another. This entry was posted in All and tagged business of investing EROS India luck on January 12, 2016 . 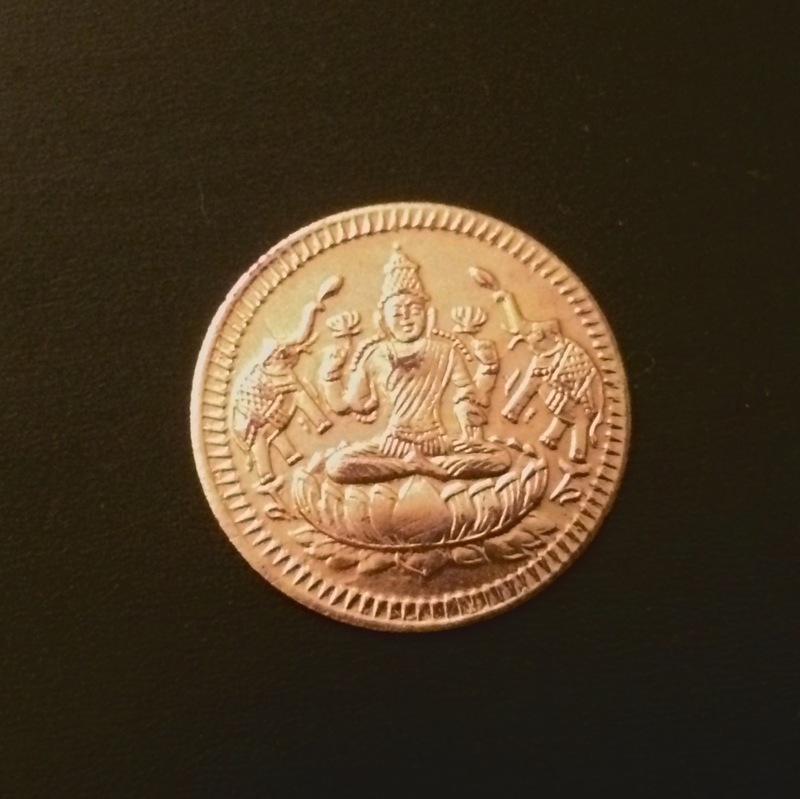 Disclosure: Long one Lakshmi coin. My wife and I recently returned from a visit to India over the holidays. The trip capped a very eventful year for Cable Car and left me in a reflective mood, despite the tumultuous start to 2016 in the markets. Although experiencing a different culture is invariably educational and I had the small thrill of trading from airport lounges on several continents, this was leisure travel. Due to regulatory restrictions, Cable Car is not able to invest in domestic Indian equities, and there are only a few US-listed ADRs available. We elected to watch the popular Bollywood film Bajirao Mastani in theaters rather than meeting with its controversial distributor, Eros International (no position). At the risk of relying on what Amartya Sen termed an “exoticist” lens to understand India, I thought I’d share a serendipitous anecdote from the trip not entirely unrelated to investing. On our second day in Chennai, which has a long coastline on the Bay of Bengal, we asked an auto-rickshaw driver to take us to the beach. The route passed through Besant Negar, a neighborhood that suffered significant damage during last month’s flooding and which I’m pleased to report has rebounded strongly. Many of the street vendors displaced by the floods had returned, and there was a hubbub of rebuilding activity. We arrived at the southern tip of Elliot’s Beach, in front of a large temple we hadn’t planned on visiting. We had come unexpectedly to the Ashtalakshmi Temple, which is dedicated to the eight incarnations of Lakshmi, goddess of prosperity. The temple is open to all and was uncrowded, so we wandered inside. As we worked our way up the stairs, we passed shrines for each of the eight incarnations, each representing a different form of prosperity in turn. The Dhanya Lakshmi represents the bounty of a good harvest; the Vijaya Lakshmi symbolizes success in the face of adversity; the Vidya Lakshmi stands for the wealth of knowledge. At the very top of the temple, with panoramic views of the Bay to the east, sits the Dhana Lakshmi, bringer of money and gold. Hindu temples serve an important charitable function in the local community, collecting funds for the temple itself as well as alms for the poor. At each shrine, a priest sought a small donation, but the Dhana Lakshmi’s pandit was different. In keeping with Dhana Lakshmi’s association with money, he had a uniquely convincing pitch. In asking for the donation, the pandit stated that it was not to be viewed as a gift, but as an investment. What you give to the goddess, you shall receive many times over in return. I think the analogy to investing is quite apt. We gave generously, and soon found ourselves garlanded in flowers and given a small coin as a token of good fortune. I am not a particularly superstitious or religious person, but I am quite fond of ritual and spirituality. A more cynical type might not have enjoyed the experience, but from my perspective, a shrine on a beautiful beach in Tamil Nadu is as good an avatar of good fortune as any. Visiting the Ashtalakshmi temple left me contemplating the role of luck in investing. As I look back over a very successful year for Cable Car, I am keenly aware of the importance of luck. 2015 felt at times like a constant parade of potential pitfalls—whole sectors moving suddenly out of favor, precipitous repricing of currencies and commodities, comedowns by investors others look up to—to have avoided some of the year’s worst outcomes was the just reward for healthy skepticism, but in other instances it was a mere case of (not) being in the right place at the right time. Investing provides constant reminders that there are many factors influencing each investment that cannot be hedged and are totally outside an investor’s control. However, I am firmly of the belief that for investors, the saying “You make your own luck” is a truism. Not by donating to Hindu shrines, although perhaps that will help in some small way, but by creating a universe of attractive potential outcomes. We are fortunate in the investing business to be given the opportunity to specify our preferred probability distribution. The task of portfolio construction is the luxury of assembling a collection of only those investments where research suggests the odds are favorable. I approach investing by trying to minimize the consequences of mistakes and misfortune, while maximizing the likelihood of good luck. Yet ultimately we cannot control outcomes, only the research process, and the best investors will retain their focus on research irrespective of the market’s gyrations. I’m not immune to Schadenfreude, but I do not enjoy seeing famous investors in the headlines for a tough year. There but for the grace of Lakshmi, perhaps, go I. It is far too soon to count out some of the boldface names who had a difficult go of it in 2015. Often, I feel that the timing of returns is the most significant element of randomness. When taking the view that the market has mispriced a security, it is difficult to predict when and if that will change. We can try to influence market perceptions and corporate actions through activism, but there is an element of uncertainty to every investment. Returns are path dependent—the opportunity to redeploy capital from a positive outcome can be a powerful contributor to future performance. I consider myself fortunate both when the market agrees with my positioning and when volatility provides an opportunity to adjust exposures. Just as it can feel like a stroke of luck to have avoided pitfalls in the marketplace, it can feel like a blessing to be able to obtain borrow on an obviously overvalued stock, or to be unable to obtain it on a stock that later squeezes higher. I have had occasions to be fortunate to be at my desk during breaking news, and fortunate to be away during moments when others have acted rashly. Most of all, I feel fortunate to be entrusted by my clients with their capital in a role that I love. Whatever your personal Dhana Lakshmi, I wish you good fortune and many happy returns in the year ahead!